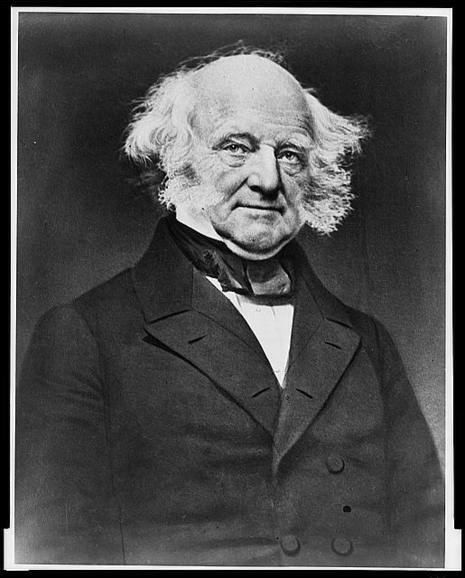 Martin Van Buren, eighth president of the United States and founder of the Democratic Party, was born on December 5, 1782 in Kinderhook, New York. Just five feet six inches tall, Van Buren earned the nicknames "The Little Magician," and the "Red Fox of Kinderhook" for his legendary skill in political manipulation. Alongside his gift for politics, however, Van Buren harbored a strong sense of idealism that led him, late in his career, to oppose the westward expansion of slavery. Van Buren rose to national fame under the wing of Andrew Jackson, who defeated President John Quincy Adams in his 1828 bid for a second term. Before coming to Washington as a senator in 1821, Van Buren crafted the powerful New York political machine known as the "Albany Regency." In 1825, he put his formidable political skills at Jackson's disposal. Martin Van Buren (pronounced /ˌvænˈbjɝɨn/; December 5, 1782 – July 24, 1862) was the eighth President of the United States from 1837 to 1841. Before his presidency, he served as the eighth Vice President (1833-1837) and the 10th Secretary of State under Andrew Jackson. He was a key organizer of the Democratic Party, a dominant figure in the Second Party System, and the first president who was not of British (i.e. English, Welsh, Scottish, or Irish) descent - his ancestry was Dutch. He was the first president to be born an American citizen (his predecessors were born British subjects prior to the American Revolution); he is also the only president not to have spoken English as a first language, having grown up speaking Dutch. He was also the first President from New York. Van Buren was the third president to serve only one term, after John Adams and his son, John Quincy Adams. He also was one of the central figures in developing modern political organizations. As Andrew Jackson's Secretary of State and then Vice President, he was a key figure in building the organizational structure for Jacksonian democracy, particularly in New York State. However, as a President, his administration was largely characterized by the economic hardship of his time, the Panic of 1837. Between the bloodless Aroostook War and the Caroline Affair, relations with Britain and its colonies in Canada also proved to be strained. 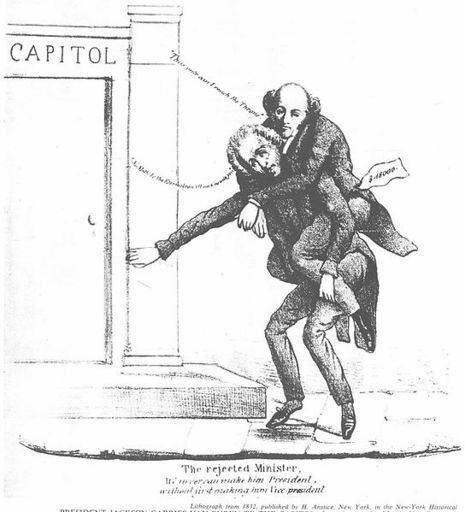 Whether or not these were directly his fault, Van Buren was voted out of office after four years, with a close popular vote but a rout in the electoral vote. In 1848 he ran for president on a third party ticket, the Free Soil Party.